Starting the CDT can be a little more complicated than the PCT or the AT, starting with the fact that there are actually three potential starting points. 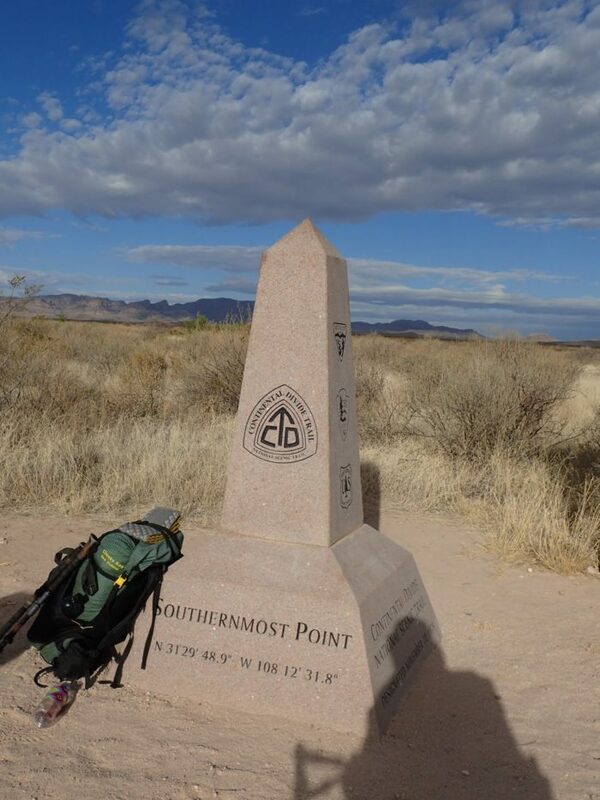 Generally speaking, though, most hikers start (or end) their journey at the Crazy Cook Monument, which is now considered by many as the “official” terminus. Most information in this article involves the various ways to get yourself to or from Crazy Cook, but will touch upon the other options as well. Your nearest airport options are Albuquerque, NM; Tucson, AZ; or El Paso, TX. From any of these locations you can take a Greyhound to Lordsburg. I’d recommend avoiding El Paso because that bus can face some major delays from the Border Patrol. From Tucson you also have the option to take the Amtrak, but that train only runs three days per week, so plan accordingly. It’s nearly 100 miles from Lordsburg to the Crazy Cook Monument. That includes about 75 miles of highway driving and over 20 miles on the dirt road to Crazy Cook. For most people, driving the road to Crazy Cook isn’t recommended. It’s not signed, minimally maintained, and crosses private roads and property. There are rocks, sand, tall drainage berms, and prickly shrubs. People can drive the road and make it just fine, but most wind up with some damage to the car—either to the undercarriage, tires, or paint (New Mexico pinstriping). The day before we went to the border, a local was helping get a Subaru with four flat tires back to the main road. Another car was abandoned along the side of the road. Don’t expect tow services. Don’t expect cell service. Your resources are the locals or the Border Patrol. Feeling adventurous and still want to make the drive? Bring a spare tire (or two), extra water, and stay on the road. But make sure that whoever is driving you is up for an adventure. Make sure you have accurate directions. You’ll be driving off-pavement for about two hours. You should also contact the Border Patrol and let them know if you’ll be using the road. The road has sensors and they will come investigate unplanned traffic. Lastly, you should either stock water for yourself in the cache boxes, or pay $10 for the CDTC to do it for you. For most of us, taking the shuttles is a far easier option. The CDTC operates a shuttle during peak hiking season. You can also schedule off-season shuttles by contacting the CDTC. They will pick you up at the Econo Lodge in Lordsburg, drive you to the border, and stock the bootheel water caches for you. The service costs $120 in 2019, and includes a CDTC membership and goody bag. The majority of hikers use this option. The CDTC shuttle does fill up. Fortunately, it’s not the only shuttle out there. We used the shuttle service provided by Dion at Camp Crazy Cook and I highly recommend this service. Dion will pick you up in Lordsburg and bring you down to Hachita for the night. Currently raising funding for an official hostel, in the meantime he rents out the community center. There are cots, restrooms (no shower), and a full kitchen. Evenings usually involve a family meal prepared in the kitchen, and in the morning he will take you to the border and he stocks the water caches as well. The cost of this service in 2019 is $100. There is a small food market in Hachita, but if you want beer you should get it in Lordsburg. 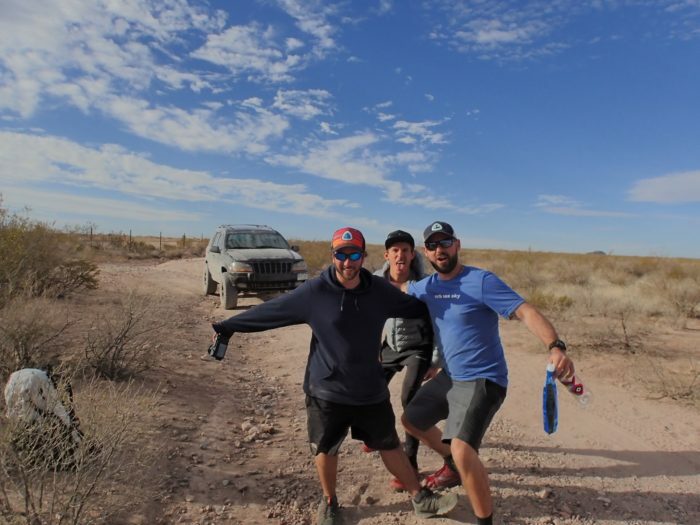 Some hikers are unable to secure a shuttle because they are full, and most of them simply hike south from Lordsburg to the border, then hop into the empty shuttle as it returns to Lordsburg. Then they continue hiking north. This option still needs to be scheduled with the CDTC or with Camp Crazy Cook. If you have someone to drive you, you could also make your way down south from Lordsburg to Hachita. 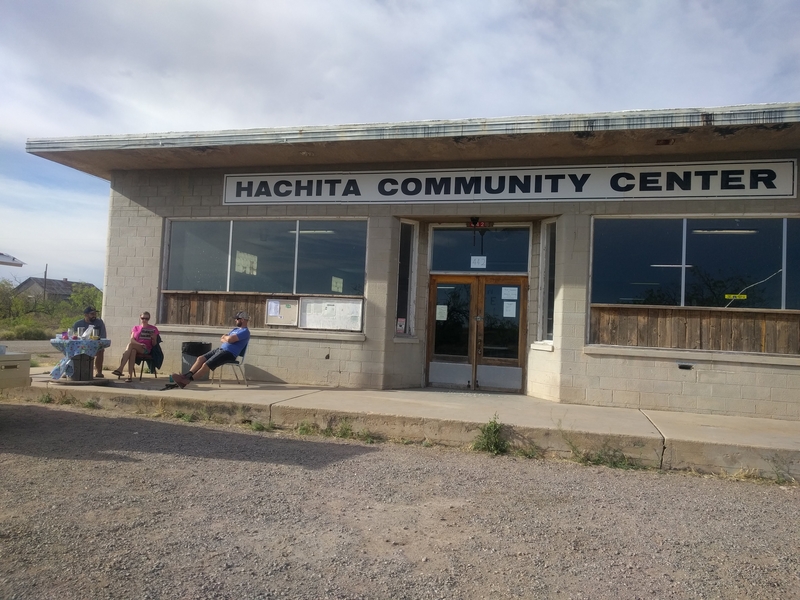 Hachita is a very small town closer to the border and allows hikers and bikers to camp in their community center. There are also a few trail angels in town who might be willing to drive you to the border. And eventually, Camp Crazy Cook will have a hostel here as well. If the above options do not work out, it may be easier to drive or hitch from Lordsburg down to Antelope Wells. This is an official border crossing and therefore on a paved road and easy to get to. It does mean your hike will start with a road walk, but this is the CDT so you might as well get used to it. Make sure you plan water accordingly. Once you rejoin the trail you can utilize the water cache boxes. Make sure you’ve arranged for someone to stock your water and don’t take someone else’s. Disclaimer: there are some private property disputes along this route. Given the increased number of hikers each year, and the ongoing land access issues, it’s better for the CDT and for every hiker behind you to do what you can to stay off private property and avoid disputes with landowners. Therefore, treat this as a last resort option and do your research before taking this route. Located three miles from the border, Columbus is another alternate starting point for your journey along the CDT. The town has an interesting history and a few services. I’ve met a few hikers who took this route and said it involved some bushwhacking, but overall it doesn’t sound much different from the official trail through this section. Make sure you plan your water; you won’t find any flowing in the bootheel.